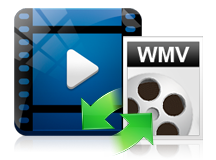 The WMV files are widely supported by many multimedia players such as Windows Media Player, KMPlayer, Winamp and etc. If your player can't play WMV files, check the solutions below. If you're a Mac user, you may often feel a headache to deal with WMV format, including editing them with Final Cut Pro and iMovie. Now you can follow the tips below to solve this problem. How to Get Adobe Premiere working with All WMV files? The WMV file is playable by Blu-ray players and HD DVD players. However, WMV is played by Windows Media Player version 8. All the other versions may require the separate installation of the required codecs for the WMV video file to play properly. Since WMV is a Microsoft-based video format, it is not very popular among Apple users. Many errors and compatibility issues are expected to arise when working with WMV on a Macintosh machine or any of the portable Apple devices. However, there are workarounds to the problem, such as using an entirely different media player other than QuickTime. Converting the file into a more compatible file format is recommended as well. Linux users and those who are using other platforms may not be able to play WMV files at all.